Whether your dream vacation is catching some surf, spending quality time with your family, soaking up sun on the beach, or playing with Legos, a Wyndham Oceanside Pier Resort timeshare will be the perfect match. 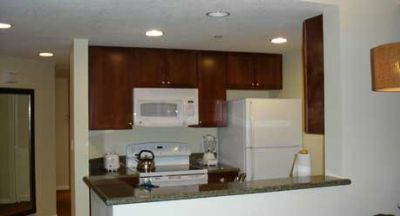 It is right next to the Oceanside pier, with easy access to local seaside restaurants, bike rentals, the Pacific Ocean, and only two blocks from the nearest train station. Just north of San Diego, the Oceanside pier is the longest recreational pier in California. Vacationers at the Wyndham Oceanside Pier resort can spend entire afternoons just walking along the pier, eating at the local restaurants, fishing, kayaking and never have to travel more than a couple miles from their room. For those who are looking to explore a little further afield, the resort offers on-site bike rentals so visitors can check out Oceanside’s many great shops, cafes and parks. There is plenty of family fun near Wyndham Oceanside Pier Resort. One of the most popular local destinations is LEGOLAND, where you can find not just 128 acres of exciting building blocks but also the SeaLife Aquarium, over sixty rides and attractions, and a water park. For those who love a historical spin on their vacations, Oceanside has plenty of unique history. It was the eighteenth of twenty-one missions built by the Spanish as they colonized the Californian coastline and is open to the public for daily tours. 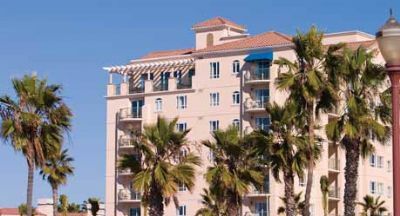 There are five different room options when you purchase a Wyndham Oceanside Pier timeshare for sale, ranging from one to four bedrooms. 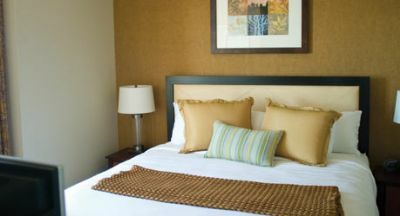 Each room includes wireless internet, a large screen TV with DVD player and video game system, private laundry, and a kitchen/dining area. 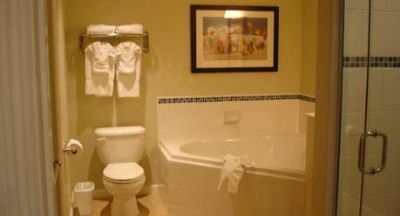 There is also a balcony or deck and whirlpool tub for personalized enjoyment and family time. 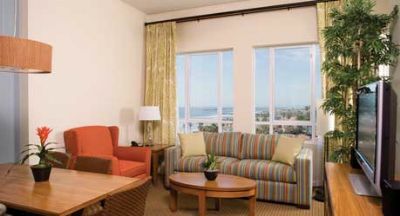 Inside the resort, you can visit the seventh floor Sky Lounges and see a panoramic view of the entire coastline. They are great places to sit together for a couple’s retreat at the end of a long day and watch the sunset over the Pacific Ocean. No matter what you want out of your next timeshare vacation, you are likely to find it here. 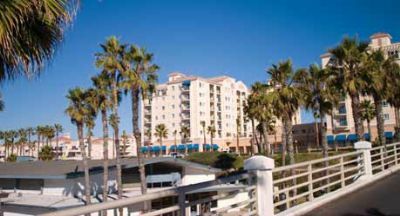 Be sure to look into a Wyndham Oceanside Pier timeshare for sale and enjoy a memorable vacation in Oceanside, California. 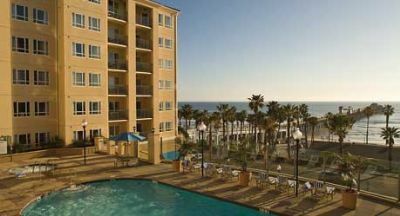 Contact Wyndham Oceanside Pier Resort Specialist Today!